February 16, 2017 | 4 p.m. 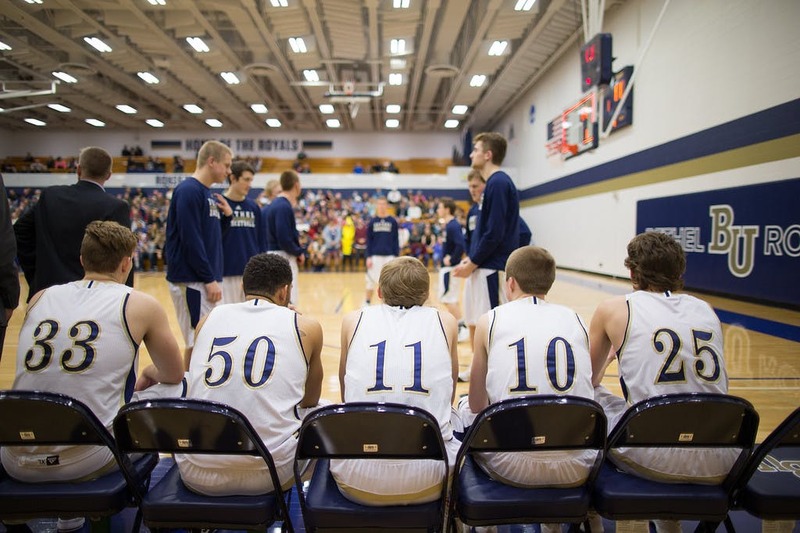 The Bethel University men's basketball team clinched a share of the regular-season MIAC Championship for the first time in program history. 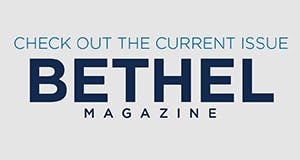 The Bethel University men's basketball team clinched a share of the regular-season MIAC Championship for the first time in program history with an 81-68 victory over Concordia College on Feb. 15. The Royals (19-6, 15-5 MIAC), who celebrated seniors Trevor Hall and Brycen Wojta prior to the contest, outrebounded the Cobbers (12-12, 9-10 MIAC) 38-26, which led to a 14-2 differential in second-chance points and the eventual 13-point win. Not only did Bethel celebrate its first-ever regular season title and their seniors, but Trevor Hall scored his 1,000th career point in the opening minutes of tonight's matchup. Hall, who had 998 points entering the contest, finished the evening with 16 points, eight rebounds, and four assists in 37 minutes of play. Bethel’s next contest is yet to be determined. Bethel has a bye on Saturday (which is when every other MIAC team finishes the regular season) and in the opening round of the 2017 MIAC Playoffs. It's the first time since 2008-09 and the second since 1985-86 that Bethel has received an opening-round bye in the postseason. No matter what happens during the quarterfinal round on Tuesday, Feb. 21, Bethel knows they will play in the semifinals on Thursday, Feb. 23. If the University of St. Thomas wins on Feb. 18 at Concordia, the Royals would host the highest remaining seed, and if St. Thomas loses, Bethel would host the lowest remaining seed. View the MIAC playoff page for up-to-date information.